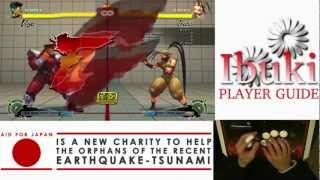 A long and detailed Ibuki player guide for Super Street Fighter IV: Arcade Edition 2012 has resurfaced. Get some tips from a regular virtual bruiser inside. With the approval from Izuna, GFClocked has reuploaded the player's Ibuki guide for Super Street Fighter IV: Arcade Edition 2012. For the original SRK forum post, visit here.